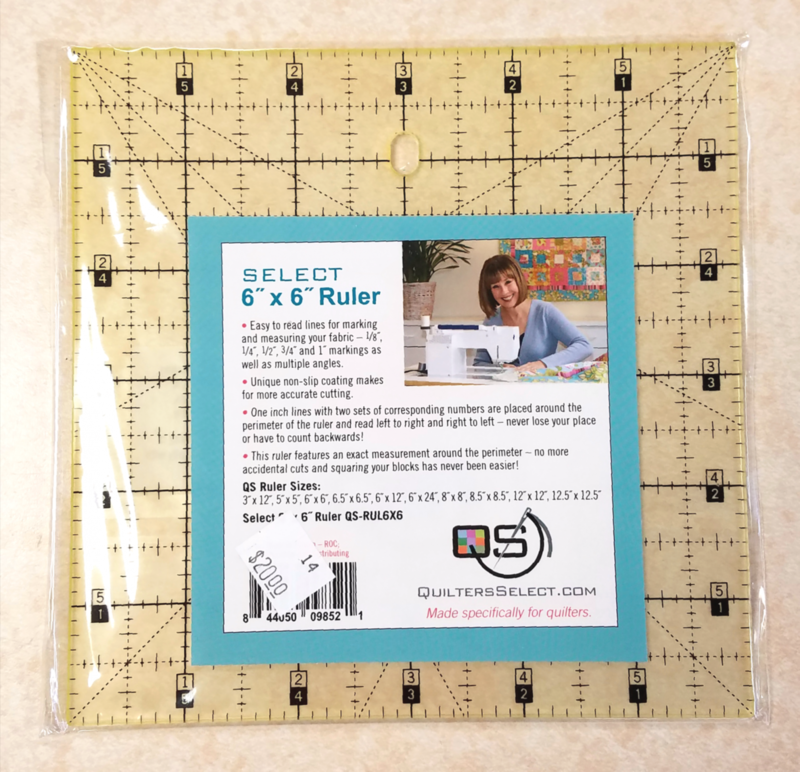 Notions > Quilter's Select Ruler 6" x 6"
Quilter's Select Ruler 6" x 6"
Easy to read lines for marking and measuring fabric – 1/8” , ¼” , ½”, ¾” and 1” marking as well as multiple angles. Each ruler has a unique non-slip coating that makes for more accurate cutting! No more accidental cuts and squaring your blocks has never been easier!